Tony Clark has had over 30 years experience within the livestock industry and is also a registered Real Estate consultant. 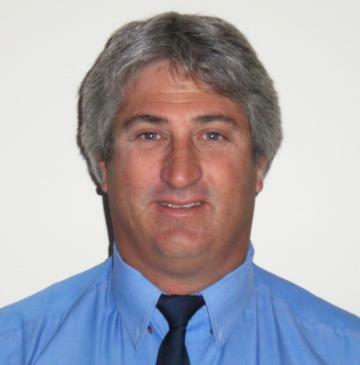 Tony specialises in rural/residential real estate sales and provides an honest reliable service. Tony has lived in Maitland for 10 years and is heavily involved in the local community, currently on the Central YP Cougars Fotball Club committee, APEX club member, chairman of the central YP airstrip fund as well as sponsoring a number of other clubs within Maitland. Massive Price Reduction - Property Has Got To Go! Vendors Says Its Got To Go!! Situated in the new Balgowan Rise Estate, here's your chance to secure your little piece of paradise. Generous 900m2 block with bitumen road access, power & water underground, only approx 10 minutes stroll from the beautiful north and south beaches and boat ramp and some of the best fishing and coastline Yorke Peninsula has to offer. Balgowan is situated on the western side of the Yorke Peninsula, just south of Port Hughes and Cape Elizabeth and north of Port Victoria and Chinamans Well. Quality homes have been built nearby assuring you of a sound investment and resale value at one of Yorke Peninsula's best kept secrets. For more information or any enquiries, please do not hesitate to contact Tony Clark on 0427363161 anytime. Looking for a cheap family getaway – this is the property for you. Situated on a large corner allotment, only minutes walk to the north & south beaches, boat ramp, deli & playground. Other property features include: - Huge corner allotment. - 3 bedroom prefab home. - Kitchen/dining area with wall mount reverse cycle air-con, electric oven & stovetop. - Lounge/sleepout. - Bathroom with vanity & shower. - Separate toilet inside & outside toilet also available. - Single carport. Balgowan is a small fishing community with spectacular beaches and sea views, located 15 min from Maitland and 20min from Moonta. This block is situated on the new Balgowan Rise Estate and is a generous 909m2. With bitumen road access , power & Water underground. Only approx. 10 Min stroll from the beautiful North & South beaches and boat ramp and some of the best fishing and coastline Yorke Peninsula has to offer. For more information please contact Tony Clark on 0427 363161 anytime. Other Property features include. 3 large bedrooms main w/-huge built in robes & ceiling fan & TV point. 2nd & 3rd bedroom w/- built in robes. Extra wide hallway to bedrooms w/- linen press and pantry. Side door access to family room from hallway. Large kitchen/lounge/dining area. Kitchen w/- breakfast bar/kitchen divider, elec oven & cooktop & rangehood. Lounge/dining w/- ceiling fan & glass double sliding door access to front deck w/- magnificent seaviews & front roller blind. Large laundry. Situated in the Bowman estate in a quiet cul-de-sac this 861m2 property is just waiting to be snapped up by the astute investor or someone looking to start their new life. This block adjoins another block of approx. 1351m2 which has also just come on the market, so it may be worth a look as a new small housing development, the choice is yours. The block is only minutes from all that Maitland has to offer and also only approx. 20 minutes from either coast and some of the best fishing and beaches S.A has to offer . Well worth a look so come for a drive and check out our great little town. Beautiful residential block fenced 2 sides with South facing frontage of approx. 31.15 mtrs and Yorke Valley Glimpses. Great opportunity to build your dream home on approx. 940m2 with water connected and power available and walking distance to all of Maitlands Facilities ie 2 schools, 2 hotels, Hospital, aged care facility, impressive shopping district with lots of food and coffee choices, great golf coarse and other great sporting facilities. Maitland is situated right in the heart of the Yorke Peninsula and is approx. 20 minutes from either coast and some of the best fishing and beaches S.A has to offer. Vendor says its got to go. So prices realistically for quick sale contact Tony Clark 0427363161 for inspection. This property is situated on the South Western edge of Maitland in a quiet no-through Rd and would be ideal for a 1st home buyer who wanted to drop a transportable on a block. with a 10 x 7 x 4 shed and established gardens or perfect for secure storage for your excess gear or your caravan and boat. This block has been realistically priced for quick sale and is only minutes from all that Maitland has to offer ie. 2 schools, hospital, aged care, sporting facilities, the main shopping precinct and magnificent golf coarse. Maitland is centrally located in the Heart of the Yorke Peninsula and is only 20 min from some of the best beaches and fishing in South Australia and less than 2 hours from Adelaide. The shed is a perfect height for caravans and boats and has a concrete floor, ample power points and lighting. Don't hesitate with this one contact Tony Clark 0427363161 to arrange your inspection now. Situated in Maitlands fastest growing new address this block has a North Facing outlook with a 26.5 mtr frontage and an area of approx. 1351m2. Itâ s the ideal place to build your new palace or just a great investment with the potential to also purchase the ajoining block of approx. 861m2 .As a single property the block joins between Elias St and Aaron St so would give you great access from either road. Water is connected and power is available and your only minutes from all that Maitland has to offer ie 2 schools, 2 hotels, hospital, shopping district with lots of food and coffee choices and great sporting facilities. Maitland is situated right in the heart of the Yorke Peninsula and is only approx. 20 min from either coast and some of the best fishing and beaches S.A has to offer. This is a great opportunity to purchase a large holding at a very realistic price. Other property features include. - 3 B/Room cottage, shop & land built 1881. - Storage shed w/- near new roof. - 2 sections of old shop w/- new roof. - 22000 ltr Poly rainwater tank. - Cottage w/- 3 bedrooms, 1 bedroom w/- open fire. - Large shed adjoining kitchen for rumpas room/entertaining area. - Lounge/kitchen/dining with upgraded kitchen. - Bathroom w/-shower/bath/vanity. - Separate toilet. - Cellar under 2nd bedroom. - 45ft shipping container. - Approx 3 acres. Rarely does a property of this quality and location come on the market. This is an opportunity not to be missed, so donâ t hesitate or it will be gone. Approx 849m2 of prime coastal realestate with potential for million dollar views, this block would be ideal for that holiday home you deserve. Located on the corner of Main and Fifth Streets with a 16.9 mtr frontage you are literally only minutes away from everything Balgowan has to offer. North and south beaches, boat ramp, playground and deli. Priced realistically to sell, I donâ t expect this one to be available for long. Perfect home for the first home owner or astute rental investor. Situated in the quiet country town of Arthurton this is an ideal property for a first home buyer or rental investor. Arthurton is situated in the middle of the beautiful Yorke Peninsula approx 2 hours from Adelaide 15 minutes from. Maitland, 20 minutes from Moonta and 30 minutes from Kadina and 20 minutes from the Spencer Gulf and St Vincents. your inspection today by contacting Tony Clark 0427363161. This is one of those properties that just demands inspection. The heading says it all. This property is situated only minutes from Port Victoria, Chinamans Wells and Balgowan and sits on a 1.37 hectare (3.385 acre) block with magnificent views of Port Victoria and Wardang Island. All in all, a very reasonably priced getaway – ideal for the family that need that extra bit of space to move. Priced for a quick sale. Huge Price Reduction - Well Worth A Look!! Massive Price Reduction - Vendor Says It's Got To Go! Situated on the Southern side of Maitland this 1960 built prefab home maybe just what you are looking for. Ideal for a 1st home owner or weekender close to both coasts (only 20 minutes) from St Vincent & Spencer Gulf & some of the best beaches & fishing this state has to offer & only less than 2 hours to Adelaide. This property boasts a 3 bedroom home w/- a 6m x 4m colourbond shed on a generous 880m2 block. Only minutes from everything Maitland has to offer ( i.e shops,hotels ,2 schools,sporting grounds, hospital etc.) OTHER PROPERTY FEATURES INCLUDE 3 Bedroom timber framed home, kitchen w/-elec oven & cooktop 2nd & 3rd bedrooms w/- polished wooden floors lounge w/-wall mount air con & connection for a gas heater telephone available, bathroom w/- a small bay bath , shower & vanity sep toilet, large laundry, small back porch, near new Vulcan 250ltr hot water service, sat dish, 6m x 4m colourbond shed as new w/- concrete floor. Established fruit trees, nice clean lawn areas front & back for the kids & vege garden. At this price it wont be on the market too long so contact Tony Clark 0427363161 to book your inspection today. This solid brick 3 bedroom home built approx.1976 would be ideal for a young family or an ideal investment in a town screaming for rentals.The property is a generous 1149 m2 and also boasts a large 4 car garage and a single car garage under the main roof with side door access . One of the main features of the property is location, only 2 minutes walk to the Maitland Lutheran School, 4 minutes to the town oval and tennis/netball courts, 15 minutes to The Maitland Area School and 20 minutes to the town centre. Also Maitland is only 20 minutes to either coast and some of the best beaches and fishing this state has to offer and only an hour and a half from Adelaide. This is a great opportunity so donât hesitate to contact Tony Clark to book your inspection today 0427 363 161. Other property features include: - 3 Bedroom solid brick home w/- tiled roof, main and 2nd bedrooms w/- huge built in robes - Huge lounge/dining area w/- access door to single car garage - Single car garage has massive storage cupboard across the whole back wall - Well appointed kitchen w/- dining area, kitchen w/- wall mount oven & electric cooktops + rangehood, dishwasher & walkin pantry. - 2 x linen press/storage - Bathroom w/- shower & vanity - 2 x separate toilets - Small back paved entertaining area w/- glass sliding door access to kitchen/dine - 13m x 7m two-door garage w/- concrete floor & power - Huge backyard for the kids - Solar hot water service on roof - Split system aircon into kitchen/dine area - House set up for reverse cycle, ducted aircon but motor needs replacing - Rainwater connected to the house - Neat low maintenance gardens Priced realistically for quick sale.